Let’s be fair. 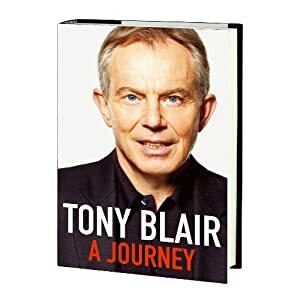 Not everything in Tony Blair’s girlish memoirs – he wrote them himself – is as risible as the exclamation marks and verb-free sentences might initially suggest. A second glance reveals one or two good things. Who knows what one might feel if one actually got to the end of A Journey? That paragraph comes at the end of Blair’s 140-page section on the war – the book runs to almost 700 pages – and the question he asks is clearly not rhetorical. He simply doesn’t know what she would say, because he can’t know. He makes as good a case for the Iraq war as I have ever come across, but his case is still bad. There were no WMD – and he knows it. So he goes subjective on us. “All I know is that I did what I thought was right.” To Blair that is the clincher, but to everyone else it is ludicrous. We are judged by our actions not by our thoughts. Stalin believed his was doing the right thing in 1939 when he invaded Poland, but most people would now agree that he was wrong. If you are not careful you can find yourself feeling sorry for the former prime minister. He wants to be taken seriously as a man, but like his pal George. W. Bush (to whom he is admirably loyal) invites only derision. For example, he now tells us that when the going got tough in Downing Street, booze became a “prop.” Why, he would drink a cocktail and have a couple of glasses of wine with dinner, sometimes even half a bottle. How we laughed in Fleet Street. As the wife of every soak knows, that’s the sort of drinking drinkers do when they are not drinking. What’s he like in the bedroom? You don’t want to know, but Tony tells you anyway. When the Labour leader John Smith died in 1994, Blair knew he had a good chance of succeeding him, and was therefore a bit on edge. That night, he writes, “I needed that love that Cherie gave me, selfishly. I devoured it to give me strength, I was an animal following my instinct…” So shy-making. But Blair knows that there is more to life than fun, and he takes his new job – saving the world – very seriously. He is a jet-setting multi-millionaire savior, a statesman without a state. A Journey can be read as his prospectus. The Blair Brand is an enormous undertaking. As well as being the unpaid Middle East Envoy, Blair runs a bunch of “halo” companies: the Tony Blair Faith Foundation, the Tony Bair Sports Foundation and the Blair African Governance Initiative. These days he spends much of his time away from England schmoozing foreign potentates. In the words of Fraser Nelson, editor of the Spectator, Blair has set himself up for “a political afterlife that has all the trappings of office but none of the traps.” You’ll be seeing a lot more of him. Even the Brits may get a glimpse of him this week when he attends the speech His Holiness is giving to politicians in Westminster Hall. Rumors had been circulating that the two men would meet privately, and even that the Pope would give Blair a medal for his services to peace. They turned out to be unfounded, praise the Lord. Blair must be a puzzle to the Pope and to just about everyone else in the Holy See. Last year a Vatican official described the Tony Blair Faith Foundation as “messianic” (but not in a good way). Also puzzling to Rome is Blair’s apparent enthusiasm for artificial contraception and embryonic stem-cell research (not to mention pre-emptive war). When Barack Obama called on the Pope last year he was given a copy of Dignitas Personae, a Vatican document on bioethics and human dignity. Blair could do with a copy, too. But if the Pope were ever to meet Tony again – they have met before in Rome – he might give the former PM a penny catechism. It’s high time that our messianic former leader understood what he let himself in for three years ago when he “Poped.” What does it profit a man if he saves the whole world but loses his soul? Blair may have converted to catholocism for which I give him great credit on a personal level but he shows very little understanding of the issues of Christendom, or catholocism. Blair opened the door to non-christian unassimilable 2nd nd 3rd world radical muslims to Britain, supports abortion to an already depopulating Ireland, Scottland, Wales and England. Plus Blair marginalized christians in Britain with political correctness and hate laws while embracing Islam Sharia Courts and other insanities. He also defended Islam while remaining silent on the worldwide genocides against christians in Africa and Asia, as well as, religious intolerances towards Christians in Islamic nations. Blair is a failed politician for Britain and a failed politician for Christendom…the guy may be nice as could be but the guy is a walking abortion (cant think of a better word to describe him at the moment). Thomas, you attack on the one hand intolerance towards christians in “Islamic nations”, while advocating intolerance to Muslims in Britain, which I assume you think is a “Christian nation”, or should be but isn’t. And it isn’t. People here generally don’t care about religion. It’s why I like living here more than in the states. Blair didn’t marginalize christians. It’s just that there aren’t many left. Sorry, but you know that. You live here. It’s probably because of evil scientists. Abortionists indeed, and others with clever clever notions to do with life being too complicated to admit of easy solutions and rigid beliefs. If the aim is to make life better, that is. Some people care that you care about religion, but they tend to be the same people who care that muslims care. Also I don’t think “iuse intolerances” is a word. Or not one that coheres within a viable syntax. you don’t have to use the queen’s english, but all dialects have syntactic rules. And do you like or dislike developing embryos? I ask because on the one hand you want to defend them at all costs, but in your final line you describe blair as one, as though it was the worst insult you could think of. I genuinely find that interesting. That Blair flip-flops with both Christians and Muslims attests to his being the devil-incarnate. C’mon now, you didn’t expect the devil to show himself all regaled with horns and a pitchfork, did you? With millions of lives obliterated due to Petroleum pursuits, Blair and Dubya prove Hawkins wrong: there is a devil; hence ther is a god. Balance of the universe, mate. Collin, Thomas does not describe Blair as an “embryo.” He describes him as an “abortion.” There is a difference. walter – clever typo with “Hawkins”. I wasn’t sure whether you meant Richard Dawkins or Stephen Hawking. Divine inspiration indeed! BtW, it appears that Blair and his pitchfork elk have ironically united believers and non-beleivers (of the Divine) in condemning the bogus war-for-oil in the Iraq-Af/Pak theater. What fine actors these NeoCons are auditioning the wars as “Terror” crusades. Then again, their pals in Tinseltown have yet to produce any compelling movies illustrating this farce — and in the numbers that they did in just the first three years of WW ll and/or Vietnam…Ugh! Makes even a pro-lifer wanna advocate (retro) active abortion. Nice play of words. The people Mr. Blair had bombed in iraq were secular arabs. Whether they were bandits or just soldiers doing their duty is an interesting question. All in all, more than 50.000 iraqi soldiers died, an untold number was maimed, and there are estimates in the low millions about the number of civilian deaths. We now have a not so secular government in iraq and sharia law is making large inroads. What was Mr. Blairs pretext again? By the way, back then, one of the first measures the man you cannot bring yourself to hate took when in power, was to abolish the scholarship that had allowed him to study in Oxford. Let it not be said that Mr. Blair has no conscience – at least he preempted a similar career. Kosovo is free of Serbia now. Indeed, Iraq is now governed by a corrupt, anti-Christian govt. — thanks to the Blair-Bush game. This mirrors what hapened to the world’s largest Oil field — Saudi Arabia — 2 generations ago, thanks to Bush’s grand-father and his enlisted Agency. Of course, Prescott Bush was not a president, so one can just imagine the power of the oil barrons even in their emerging era. Also, the average American had no clue that S.Arabia was to be the largest oil field today, similar to an ignorance of Iraq’s status as #2 presently (as was the Iran-Shah repeat in the 50s), and Afghanistan as now the Largest undrilled petro reserve. Meanwhile the plebian sheep of Blair, Bush and the NeoCons are being led to the genocidal, social (and ecomic), slaughter not just in those “Haji deserts” but even here on the Brit/Yank moronic farms. It’s also noteworthy that the original Baath’s founding ideologue Michel Aflaq was a Syrian Christian, hence in part the movement’s secular pan-Arab leanings. Most of Iraq’s formerly large Christian minority are estimated to have been driven abroad by the sectarian violence unleashed by the invasion, many taking refuge in Baathist Syria where they make up a big share of the million-plus Iraqi refugees from “liberation”. Iraq is now less Christian than probably at any time in the last 1500 years. Blair had a drinky drinky problem. he has confessed to it and frankly you can’t put away as much booze as he did every single night and have good judgement as well. Bush and Blair — what a pair! Conservative & Liberal, neocon lies they dribble. One was inspired by his “heavenly father;” the other conspired with that Benedict father..